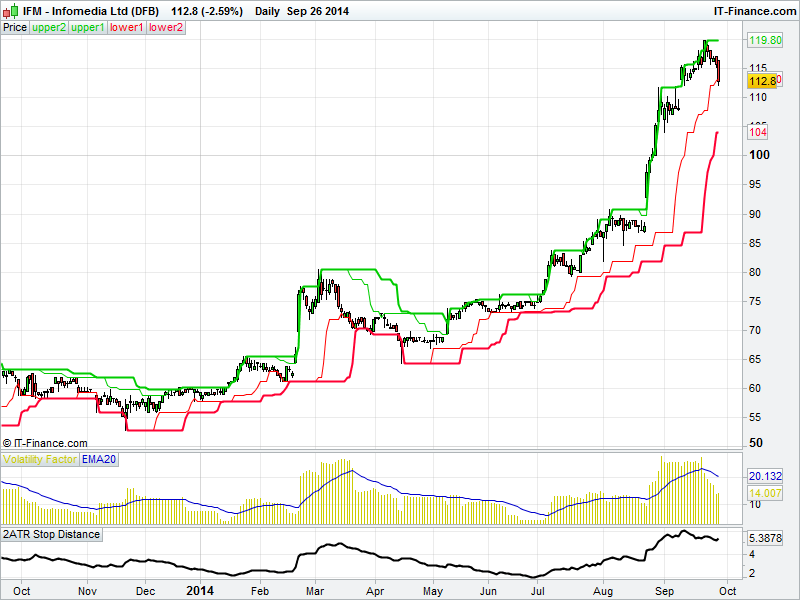 Here is the chart of a nice uptrend that one of our Australian-based members in the mentoring programme caught. This one trade generated a 12R profit in a relatively short period of time, before finally triggering an exit at the end of last week. This stock continued to move up despite the Australian ASX moving downwards all through September. As long as a stock keeps on acting right, there is no reason to sell out too early. This one trade therefore covered some small losses and left some surplus profit. This is trend following in a nutshell. We do not need a ridiculously high win ratio, like a lot of methods do. We keep our stops tight, and accept we will have lots of small losses. These will be offset by small profits. Every once in a while, you can get into a trade like this, and it is those which help to generate the big returns. But, to do that, you have to be able to control the urge to take small profits for fear of losing them. Not everyone has, or can develop, the skills, confidence or mindset to do that. And if you can't, that is what destroys the expectancy of the system. But that is what trend followers have to do. If you get into one of these trades, then you have to let play itself out. Multiple R winners like this don't come along every week. Thankfully, our member was able to do that and benefited accordingly.